Africa in the wild is a luxurious way to relax your body after a stressed winter in Europe! 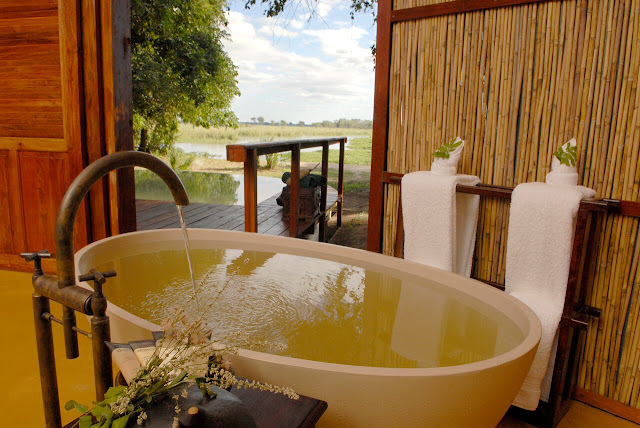 You join your private pool, your private safari, your private chalet and your private tub! African Style is great! It makes you dream and all your senses take place and open up to the wild.